Stock # 5111, 4cyl, Automatic, 90896 km. Driven by many, but adored by more, the Chevrolet Cruze LT is a perfect addition to any home. 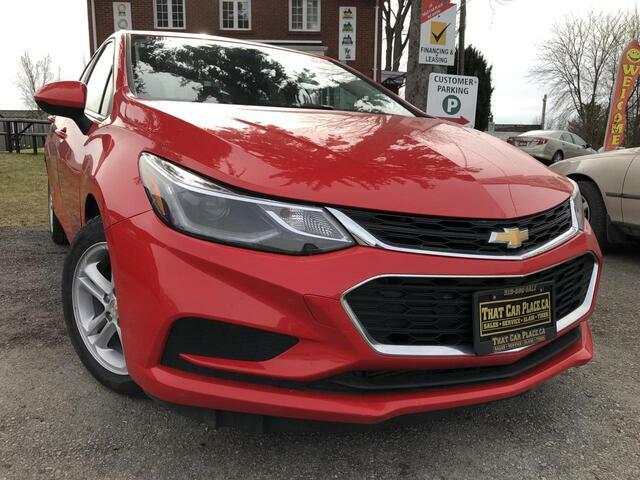 There is no reason why you shouldn't buy this Chevrolet Cruze LT. It is incomparable for the price and quality. This is about the time when you're saying it is too good to be true, and let us be the one's to tell you, it is absolutely true. The look is unmistakably Chevrolet, the smooth contours and cutting-edge technology of this Chevrolet Cruze LT will definitely turn heads. RECONDITIOING: Any Pads or Rotors below 50% material will be replaced. You will receive a semi-synthetic oil-lube-filter and cleanup.